John Mikel Obi, the Super Eagles captain and midfielder's father was abducted just before the country's last World Cup game against Argentina but he has been rescued by security agencies. John has expressed his gratitude to police authorities who ensured his father's safe release from the kidnappers' den. Micheal Obi and his driver, Ishaya John were abducted along the Makurdi-Enugu road on their way from Jos last week. In a rescue operation this week, police were engaged in a shoot-out with the kidnappers who later abandoned Pa Obi, his driver and his car. Though the police confirmed that the victim is 'hale and hearty' following the duel, the Tianjin Teda midfielder stressed that his father is fine and recuperating with family. 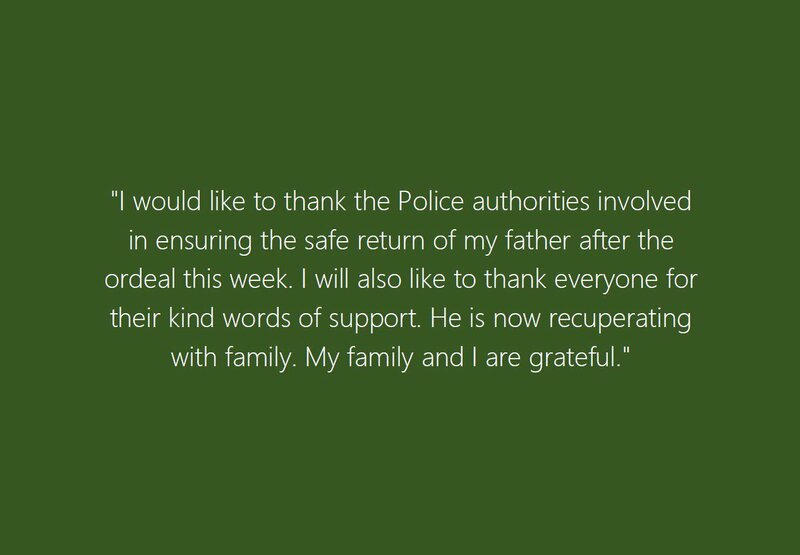 "I would like to thank the police authorities involved in ensuring the safe return of my father after the ordeal this week, Mikel wrote in a statement released on Twitter "I will also like to thank everyone for their kind words of support. He is now recuperating with family. My family and I are grateful."